A wireless night vision outdoor security camera is a digital video camera with highly specialized features. Modern technological advancements have made these specialized features available at a very affordable price while offering high quality video images. Outdoor security cameras differ from their counterparts the indoor security cameras, in that they are enclosed in a case that protects them from weather and environmental elements. Wireless night vision outdoor security cameras are often rated according to the protection that they offer. This protection is often described using an International Electrical Code standard called an Ingress Protection rating, International Protection Rating, or IP code. Most wireless night vision outdoor security cameras have an IP code of IP66 or IP67. IP66 means that the camera is dust tight and that water from powerful jets in any direction will have no harmful effects on the camera. IP67 means that the camera is dust tight and can withstand being submerged in water up to 1 meter in depth. 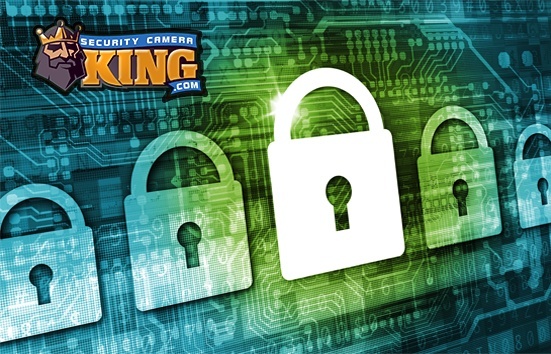 Digital video security cameras create images by using one of two special electronic sensor chips. Some digital security cameras use a Complimentary Metal Oxide Semiconductor or CMOS chip to create high quality color video images. Most wireless night vision outdoor security cameras use a Charged Coupled Device or CCD to create high quality color video using available visible light and high quality monochromatic or black and white video images using infrared (IR) radiation. CCDs are highly sensitive to light energy known as photons. The CCD is able to transfer light energy into electrical energy in a somewhat similar process that a solar cell transfers sunlight into electricity. The electrical energy created by the CCD can be measured and digitally manipulated to create a video image. This is how a wireless night vision outdoor security camera creates high quality video in visible light conditions. A wireless night vision outdoor security camera has a highly sensitive CCD that not only captures visible light but is inherently sensitive to radiation in the near infrared spectrum. This allows the camera to produce high quality video images in conditions of total darkness, with absolutely no visible light. These cameras contain an collection of IR Light Emitting Diodes or IR LEDs that surround the camera lens. The LEDs emit IR light that is not visible to the human eye, but lights up the cameras target area or field of vision like a flood light or spot light. Usually, the more LEDs that surround the camera lens, the farther the range that the camera can produce IR video in total darkness. Since IR radiation is not in the visible light spectrum, IR video is monochromatic or black and white. Another specialized feature of a wireless night vision outdoor security camera is that it does not require a coaxial cable to transmit its video signals to the systems processor. “Wired” security cameras must be individually cabled to the processing unit. A wireless camera utilizes the 2.8 or 5.8 MHz radio band to transmit its video data by using an on-board antenna. The information is transmitted to a corresponding receiver that is normally located in the same area as the processor. After the receiver obtains the video signal it transfers it to the processor where a digital video file is created that may be viewed on a monitor or stored for later viewing or archival proposes. 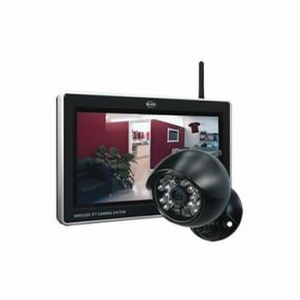 Wireless night vision outdoor security cameras are available in different transmission ranges. The range is known as Line-Of-Sight or LOS. This means that the maximum transmission range stated for the camera is under conditions where there is an unimpeded line of sight between the camera’s antenna and the receiver’s antenna. Objects between them reduce the range, depending on the object’s size and material. Wireless cameras have LOS range capabilities of several hundred feet. Additional features available for wireless night vision outdoor security cameras include the ability to record audio and the pan, tilt, and/or zoom (PTZ) functions. PTZ functions allow the camera to move in several directions and the zoom feature functions like a variable telephoto lens. These features can be controlled automatically or they may be controlled manually by remote control. A wireless night vision outdoor security camera can be used anywhere that outdoor day/night video security and surveillance monitoring is needed. These cameras are often used for perimeter monitoring for both businesses and residents. In addition that can be used to provide monitoring for parking lots, driveways, and outdoor structures.